How many of us actually ask our horses? I seem to recall reading a forum thread where many stated that they couldn’t allow their horse to have any choice. After all, horses are large and could kill us at any minute… Oh that’s right, I still climb onto the back of one of those possible killing machines. Anyway, the point is, what would happen if you asked your horse for his “opinion.” What would he say if you truly listened? I don’t mean anything telepathic, but how does he behave around you if you honestly took away all the distractions, ropes, and control methods? 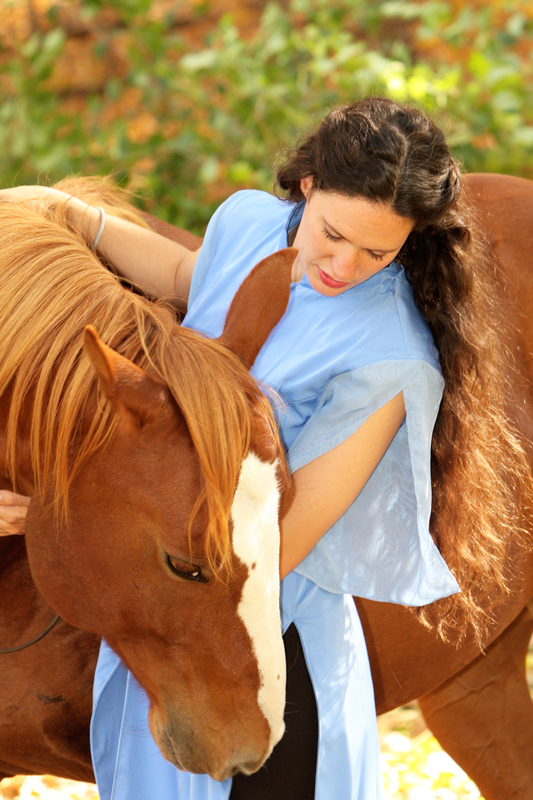 What would your horse say about you? Whatever the answer… it will be pure. The stories behind the saying “let your horse take you home; he/she knows the way” would be interesting to read. Whether being in a state of hurt, bad health or accident, or perhaps just drunk, humans have relied on their horses’ ‘opinion’ about getting home and whether to cart the body on top, or not. Growing up, I was always taught to not let the horse have a choice but to always do what you told them because “the rider is the boss”. I believe this is true to point but I now have a slightly different view. My views have probably changed because I am older, larger and falling off just doesn’t seem like such a great option anymore. A very special horse taught me that if I forced she would shut down her mind and body and just stop. In the hands of a ruff, tuff rider her fragile young mind would have been just “blown”. When she stopped and said “I’m not sure”, I learned to sit quietly and let her think about it. My only rules for her was she had to face her fear and not turn around. When I felt her relax I would ask her to go forward. 99% of the time she would say “ok”. It took us some time in the beginning but each time her relax would come faster and faster, thus her “ok” would be faster. Today I have very few refusals from her and she is just a very relaxed, calm horse to ride. I owe it all to just listening to her “opinion” of the situation. She and I are a team and she trusts me. Isn’t that what we all strive for in a good horse for anyway. I have seen horses that have been pretty much beat into submission their whole lives and their eyes are so dead and they are so defeated looking. Would our Lord want his creatures to feel and look this way? I don’t think so.